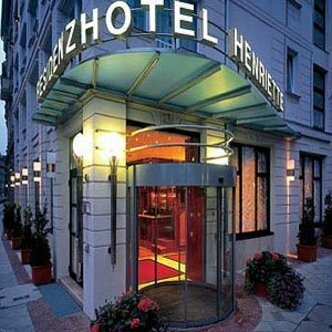 The DERAG HOTEL AND LIVING Hotel Henriette is a 4 star hotel located in Berlin-Mitte. Whether you stay for just one day, two weeks or one month, we have tailor made solutions. Choose between a hotel room or a fully equipped apartment. The serviced apartments in our modern and centrally situated premise are fitted extremely comfortably and boast a fully fitted kitchenette. Services for our modern business or private guests include shopping-, cleaning-, and laundry service. There are single and double rooms in various categories available. Each room has a bathroom with bathtub or shower, WC, desk, hair dryer, safe, mini bar, SAT-TV and telephone with voicemail. Enjoy specialities in our restaurant or have a drink at the terrace. Our conference guests find 1 modern equipped meeting room. For all guests arriving by car our hotel garage is at your disposal. At the sister hotel DERAG HOTEL AND LIVING Hotel Grosser Kurfuerst which is situated directed opposite to DERAG HOTEL AND LIVING Hotel Henriette you will find a gym, sauna, steam bath and solarium. In the Deutsche Ayurveda-Institut you can book specialist relaxation treatments.